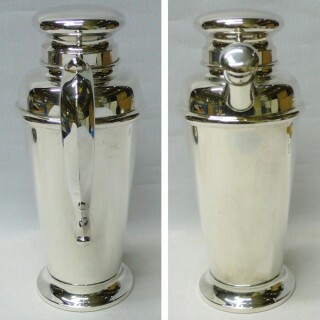 A stylish sterling silver cocktail shaker of simple plain form. 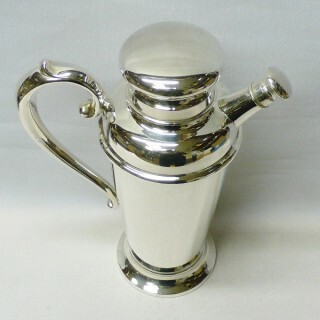 Tall with a shaped handle and pull off lid. Contains a 1200 ml. 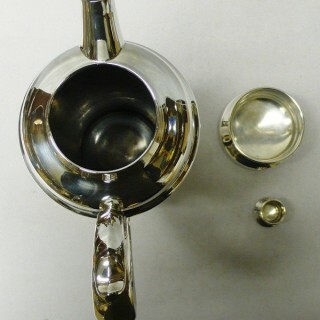 Weight 732 grams, 23.5 troy ounces. 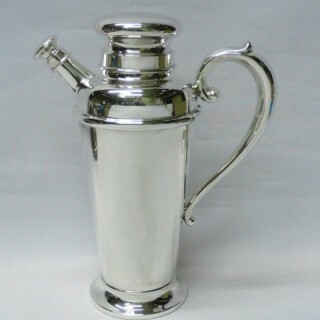 Height 27 cms. Spread 21 cms. 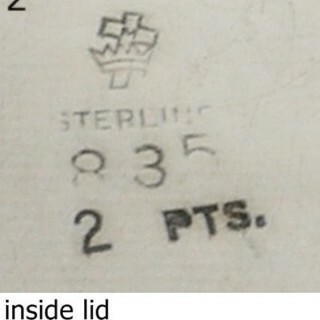 Stamped underneath “STERLING”. 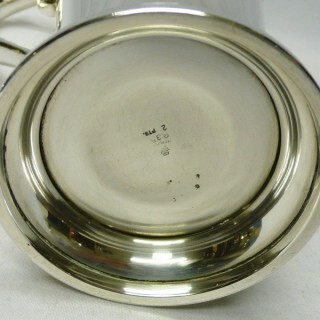 With the distinctive mark for Manchester Silver Company, Rhode Island, USA. Circa 1930. 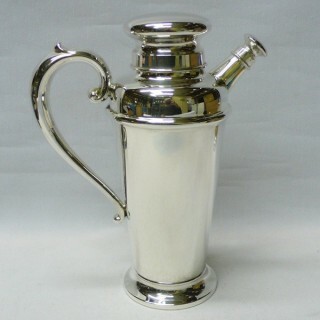 Manchester Silver Company (1914-1985), Rhode Island, USA. Previously WH Manchester & Co, founded in 1887. 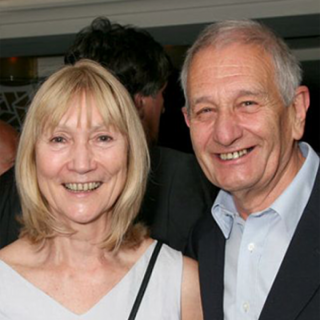 Makers of flatware and holloware, Purchased by Boardman in 1985. 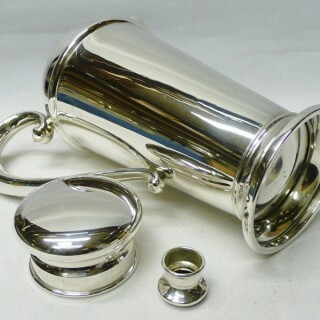 This useful silver shaker is on very good condition with no damage or restoration. American manufacturing marks underneath.